Checkout our latest youtube post here we look at an underground mains issue in Brisbane. Also check out our entire video library here at our 24HEEB channel. What do you think? Dont forget to leave us a comment. 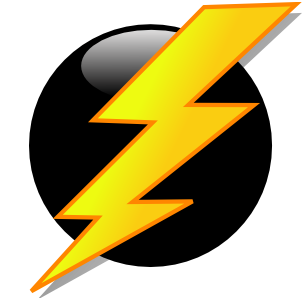 Is there lightning close to your premises? If there is lightning striking close to you then it’s a good idea to take some precautionary measures. You need to physically unplug all devices and appliances from the socket. Check out our new graphics. 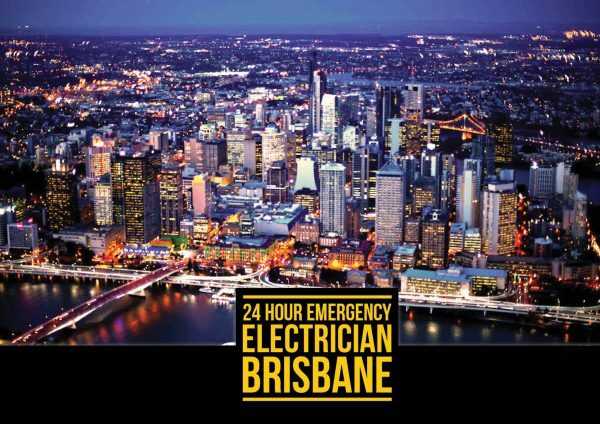 Here at 24 Hour Emergency Electrician Brisbane we are committed to continuous improvement and defining the world class standard in quality service. Along with our customer service, technical knowledge, experience and latest technology we also like to keep abreast of latest in the digital world including web, apps, social media and graphic design. So check out our latest graphics and let us know what you think. Share or like us on your social media of choice, or recommend us to a friend. ONLY A LICENSED QUALIFIED ELECTRICIAN MAY MOVE A POWER POINT IN AUSTRALIA. IT IS ILLEGAL TO TRY AND MOVE A POWER POINT YOURSELF. THIS ARTICLE IS FOR INFORMATION & INTEREST ONLY AND IS IN NO WAY INTENDED TO INSTRUCT OR GUIDE THE READER TO PERFORM THIS THEMSELVES. AN ALTERED POWER POINT THAT HARMS A PERSON OR RESULTS IN DAMAGE TO A PROPERTY MAY RESULT IN CRIMINAL NEGLIGENCE. IT WILL VOID HOME AND CONTENTS INSURANCE CONTRACT. So we perform this quite a bit and its interesting to see how its done, but we must stress that you must not try this yourself, it is extremely dangerous, only a licensed electrician can do this. Ok, so lets have a look at how they do it. An electrician will wear thick rubber boots and insulated gloves whilst performing any work in order to reduce the risk of electrocution by adding extra impedance protection in the case of error or failure. This is obviously the most important step. Before working with wires, the electrician must ensure that the wire is cut off from the supply and therefore not ‘live’. To do this the electrician identifies which section of the circuit the power point sits in, and then turns this section of the circuit off at the mains fusebox or switchboard. If unsure the master switch can be disabled so that all power is disconnected to all parts of the circuit. In this post we will show you how to join and extend wires, we will be using a low power application for our example such as a telephone line (5V DC) or audio speaker cabling. What diameter of wire (likely copper) is appropriate for your purpose? Well it depends entirely on the maximum current the wire is designed to transmit. Generally speaking low current applications use a narrow wire, whereas high current applications require a large diameter wire. See this guide for more info. You want to set up on a flat non conductive surface, a wooden desk bench or table is suitable. Cover the surface with something to protect it from excess flux and solder. A few layers of newspaper usually suffices. Turn on your soldering iron and allow a few minutes for it to heat up to its operating temperature. Make sure the tip of the soldering iron is safely housed in the stand so that it doesn’t burn anything. Welcome to our first instalment of our blog on Emergency Electrical job’s in Brisbane. We begin on a late night job we attended in Stafford, North Brisbane. A lady called us to come out quickly to help get power back on to the entire house. We quickly arrived on-site and went into complete fault find mode. We started by testing the main switchboard and with this testing you have a series of small but crucial methods we use as electricians to get a good understanding of what’s going on with the basic structure of the wiring in the board and in the house. We continued a visual inspection upstairs in the house and found everything to be ok.
We than started another check and tested the RCD’s or ‘safety switch’ and after that procedure the safety switch protecting the light circuit was failing the test. The wiring in the bottom of the RCD was installed incorrectly and in turn had burnt out the terminal.